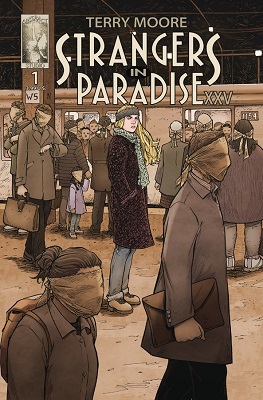 This book is in Strangers in Paradise XXV (2018 Series). Katchoo's hunt for Stephanie, the rogue Parker Girl, is derailed when a bus highjacking forces her into the tropical territory of a dangerous cartel. Meanwhile, Freddie asks Francine for a favor that could land them both in jail!